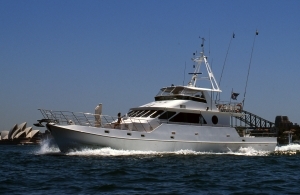 “Sea Escape” is a luxurious 78ft cruiser that is extremely well equipped and very comfortable.She is a very open and spacious cruiser with four separate deck areas. 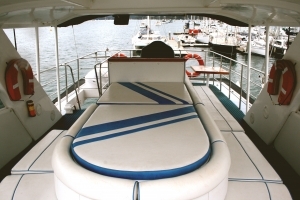 The aft deck is ideal for a casual evening or lunchtime meal and with the sunset deck can provide an area suitable for a sit-down formal meal for up to 20 passengers.The foredeck and the fly bridge are generous open areas which make ideal refuges for relaxation, and to watch the world glide by, under a large umbrella. 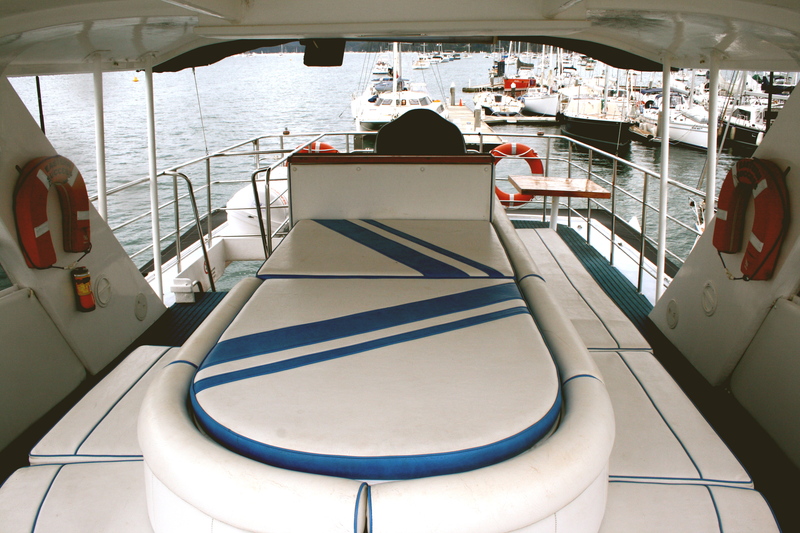 There is also a small heated spa available for the smaller groups. 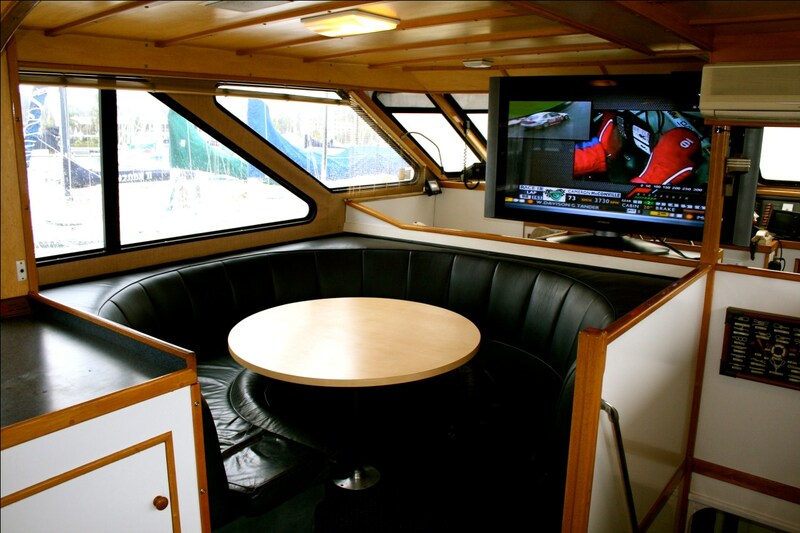 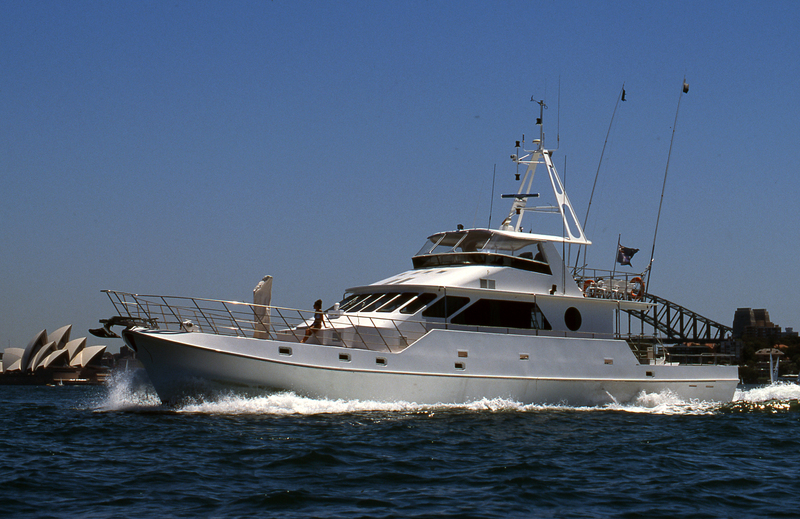 The interior has a large bar and luxurious entertaining area including wireless connectivity throughout the boat, a 55 inch tv in the main saloon, and Foxtel.